Once a week for many years Greg McEldowney would come and wind the Town Clock and keep it running. He recently passed on November 11, 2017. 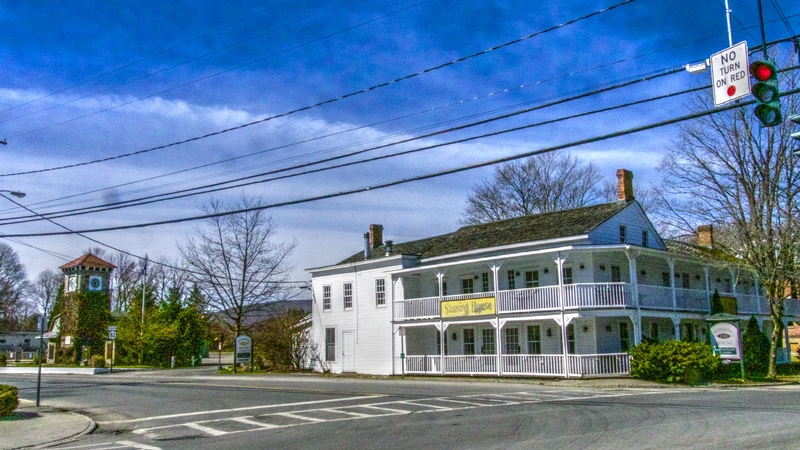 He was a keeper of Pine Plains history. Now he is part of it. This video portrait of Greg was made in 2015. He deserves to be remembered. 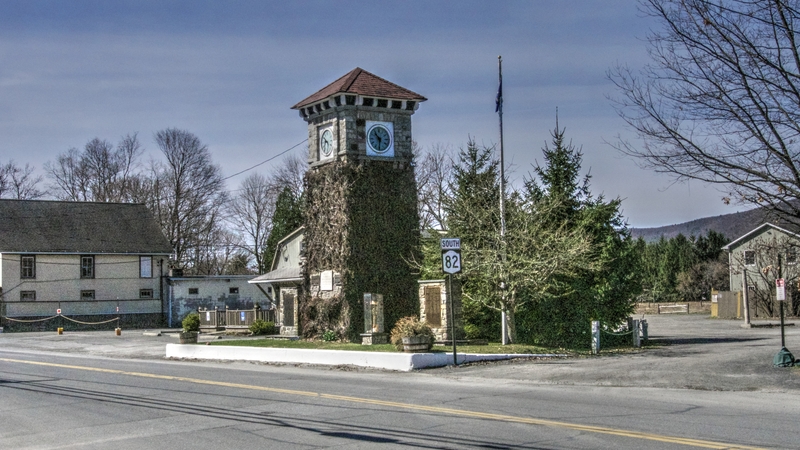 Pine Plains, like most small rural towns in America, has its traffic light, its destination restaurant, and its memorial clock tower. Every year, on Memorial Day, the town musters in front of the tower to honor our veterans who have served our nation in armed conflict. We just assume the clock tower was built in their honor. But there was one man who served his community in a very different calling and in whose memory the tower was actually built yet he is never mentioned in the flash of parades and politicians’ speeches. After seeing this video, when you look up at the clock on the tower, will it ever be the same? A note of thanks to George Keeler for helping me research this story. Hi Stan. 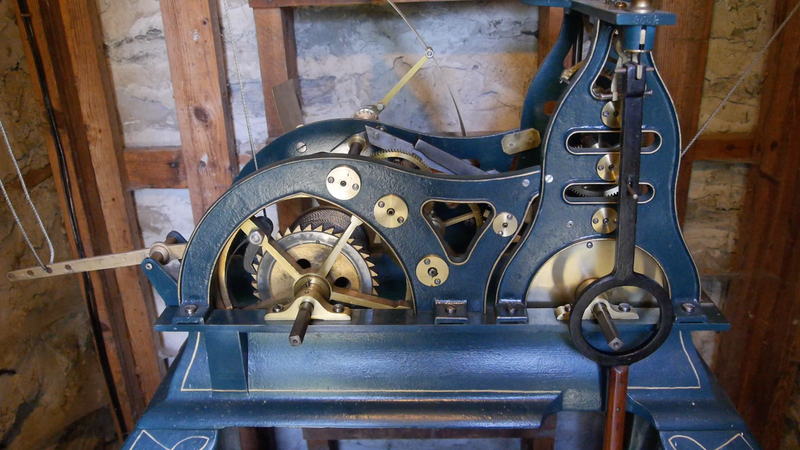 My father Fred Marshall also wound that clock for many years in the late 40″s, early 50’s. He was an apprentice for Harry Jackson, who owned the Jeweler/photography/ clock repair shop accross the street from the tower. Thanks for that piece of history! We are gradually filling in the picture thanks to contributors like you. Keep in touch. Greg was an encyclopedia of knowledge and a great friend. He will be sorely missed. I feel blessed that he taught me as much as he did about clocks and antiques, and I’m honored to carry on his dedicated service by winding and maintaining the town clock. I plan to gather more history on the clock tower and create a site where it can be presented to the people of Pine Plains for public awareness and education. 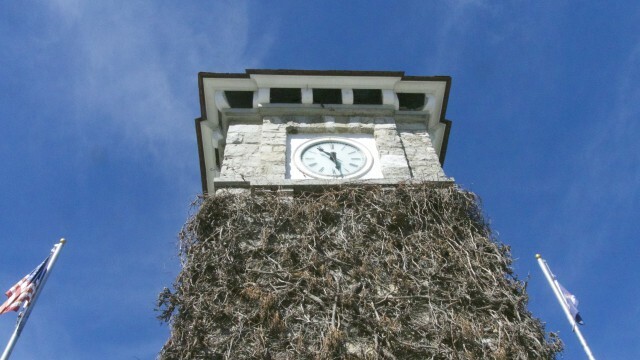 However, I plan on bringing awareness to much more than the only the clocktower. I plan on bringing awareness to what happens when great things fall into disrepair out of neglect, as well as the joy and satisfaction a community can all enjoy from group efforts to restore such historic treasures. Pride and a passion in a township or community can keep it all beautifully maintained. I have seen some of your work & very much appreciate it. Thank you so much for this piece with Greg, it means a lot, we knew each other back in the 70s when his parents owned The Harlem Valley Times & he had his antique shop up the street in Amenia. Thank you very much for your comment; I appreciate it! Thanks Stan, your site looks great.